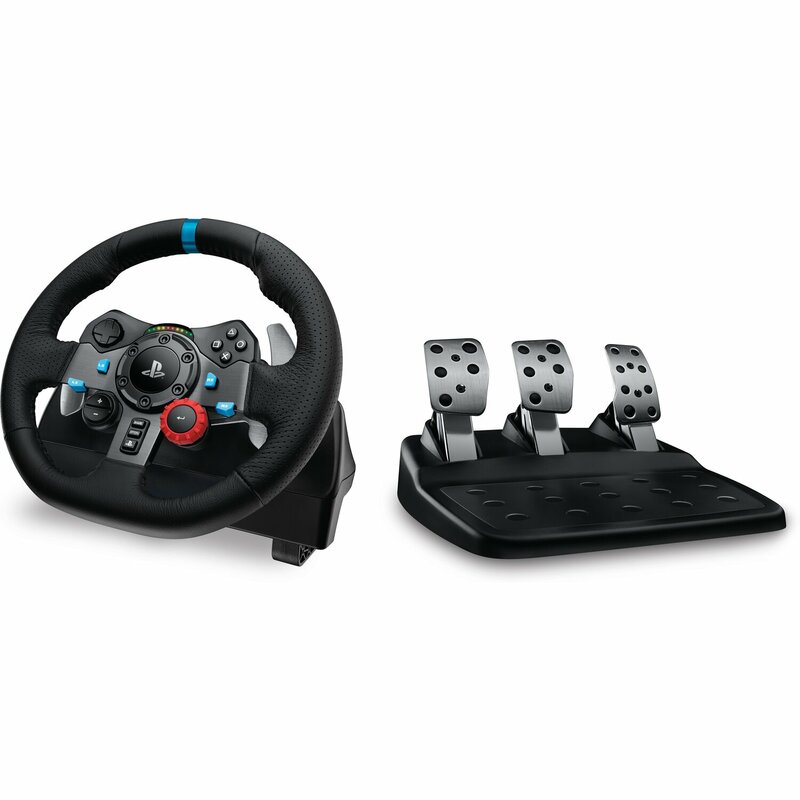 Get an immersive racing experience with the Logitech G29 Driving Force Racing Wheel. 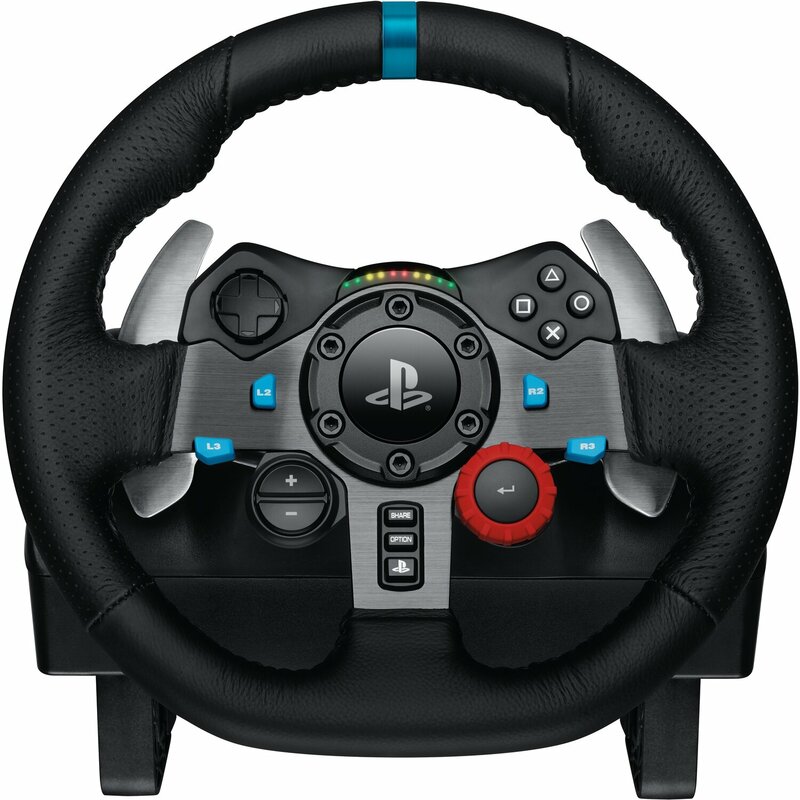 The G29 features a 10.24" racing wheel covered with hand-stitched leather. 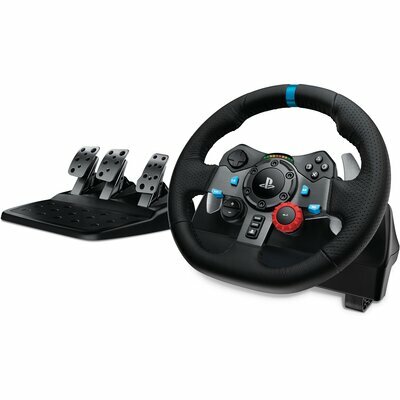 The wheel rotates up to 900° and features dual-motor force feedback for a realistic driving experience. 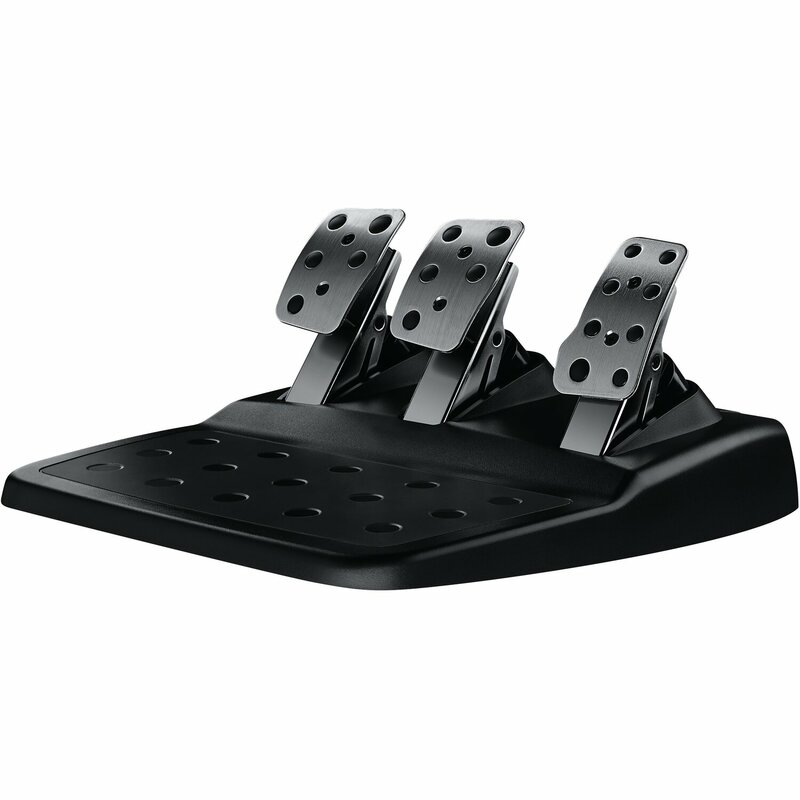 In addition to the wheel, the G29 also comes with a 3-pedal set. The throttle, brake, and clutch pedals allows you to accelerate, brake, and change gears with the feel of an actual car. The nonlinear brake pedal mimics a pressure-sensitive brake system for a more responsive, accurate braking feel. There are also rubber feet for hard surfaces and a patented retractable grip system for carpets. 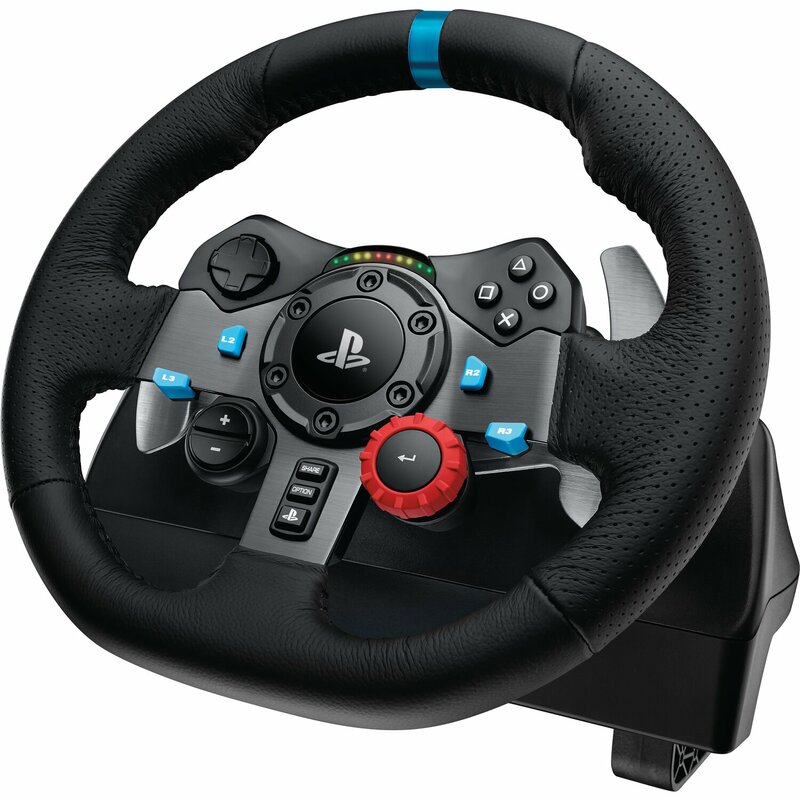 Compatible with Sony PlayStation 4, Sony PlayStation 3, and Windows PCs, the G29 has a directional pad, PS4 buttons, a 24-point selection dial, and +/- buttons. Powerful dual-motor force feedback provides a realistic driving experience by simulating force effects. Built to handle the stress of fast-paced racing games, the G29 has solid steel ball bearings in the wheel shaft as well as stainless steel paddle shifters and pedals. The race wheel is covered in hand-stitched leather for a comfortable driving experience. Helical gears are modeled after gears used in automotive transmissions to reduce unwanted noise and vibration. Anti-backlash keeps the wheel and pedals tight for maximum control. The G29 also has a reliable hall-effect steering sensor, which uses magnetic fields to sense the position of the wheel. The D-pad, buttons, and paddle shifters are all within reach on the G29. There are also LED indicator lights positioned just above the center of the wheel to let you know when to shift up or down. This allows you to maintain maximum acceleration without taking your eyes off the screen. For further fine-tuning of your driving preferences, there is a 24-point selection dial and +/- buttons on the front of the wheel. 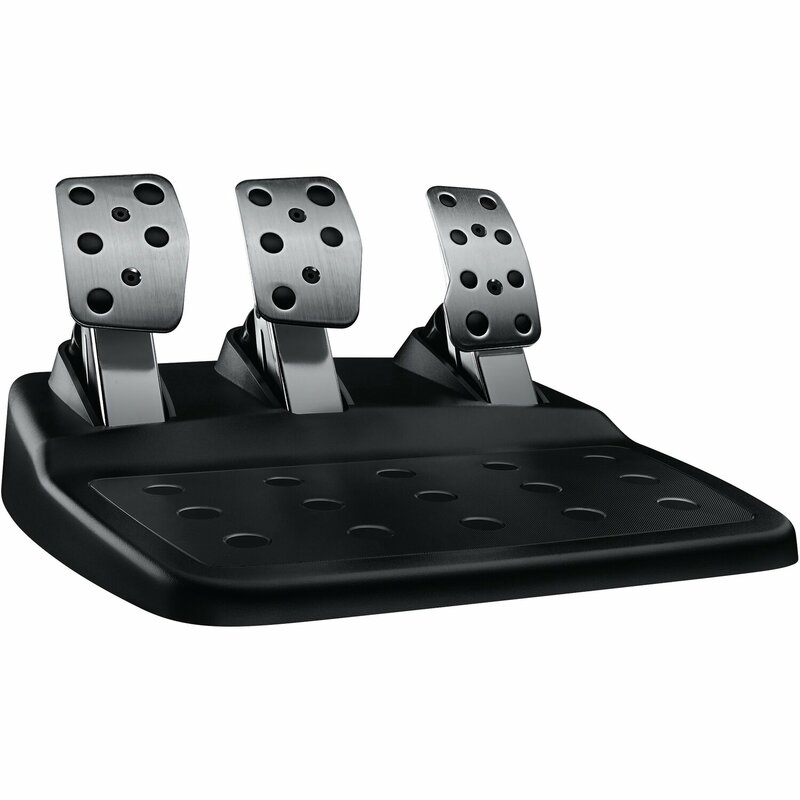 Included with the G29 is a 3-pedal set, complete with the throttle, brake, and clutch. The nonlinear brake pedal mimics the performance of a pressure-sensitive brake system for a more responsive, accurate braking feel. 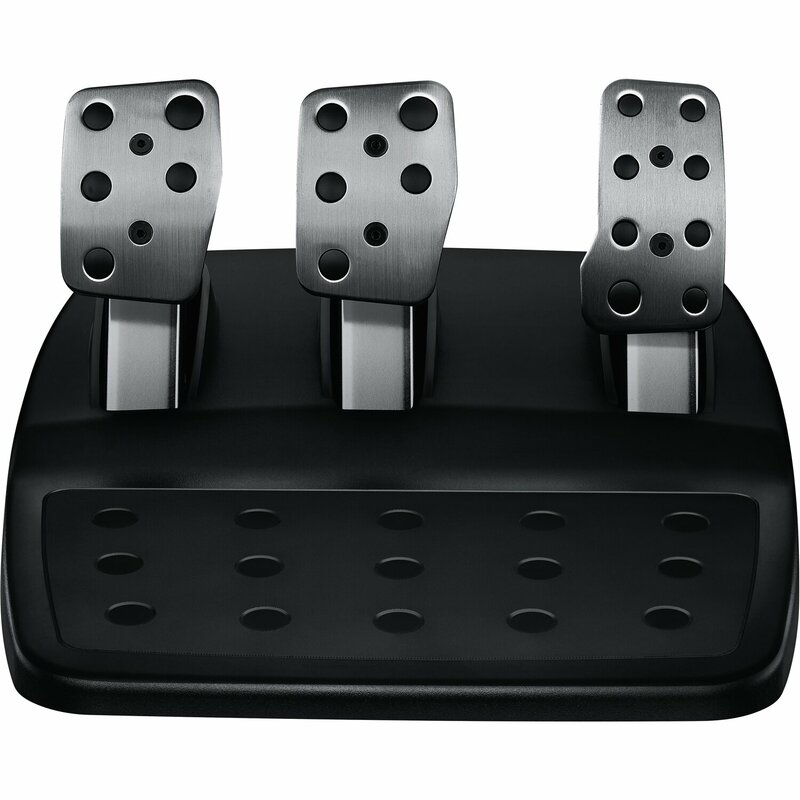 For even more control, you can move the pedals to make heel-toe maneuvers easier to perform. The 3-pedal set has rubber feet for hard surfaces and a patented retractable carpet grip system so it stays in place. The G29 mounts securely to your table or racing rig via the built-in clamps or screw mounting points. The G29 has a 900° lock-to-lock rotation, which means you can turn the wheel two and a half times. The visible steering wheel stripe gives you a visual cue of where the wheel is pointing.